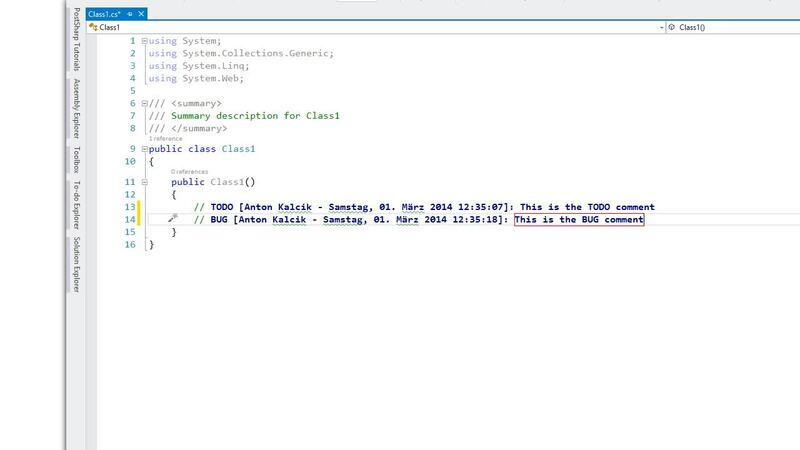 Choose from the ReSharper menu Template Explorer entry In the Template Explorer choose in Scopes C# and then click on the New Template In the new template write the following code. With the $ sign are marked parameters. The name of the parameters is up to you. The name of the Shortcut is the word (or sequence of words) which triggers, together with the TAB, the template generation. 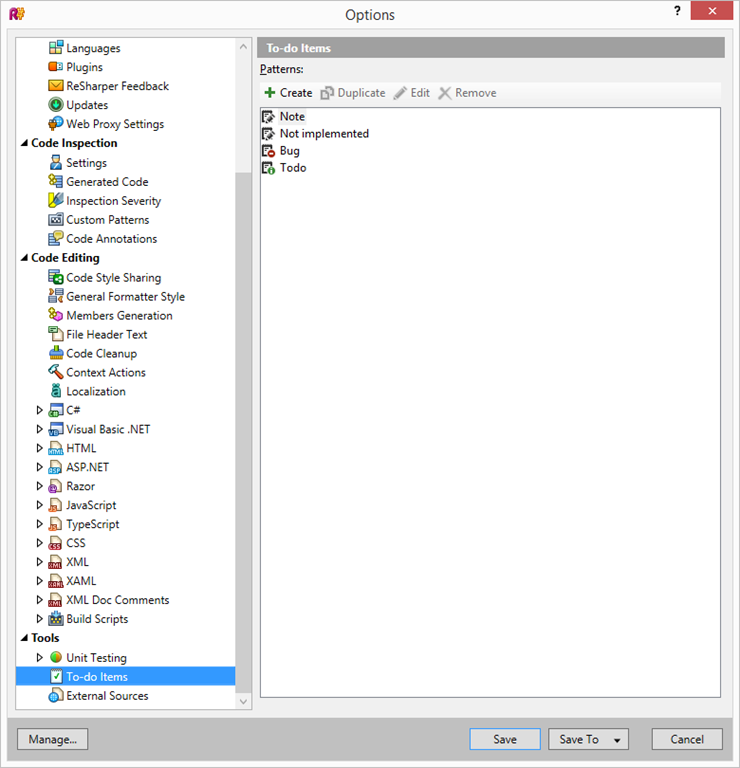 The Availability defines where is the template accessible and Parameters is list of parameters we defined in the code before. 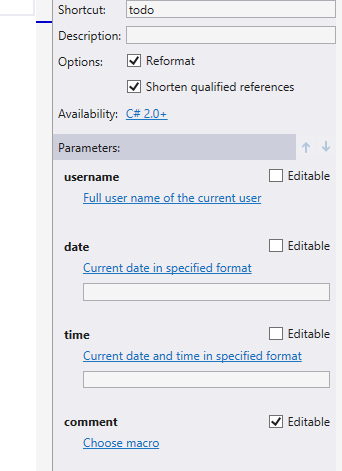 You assign Macro for each parameter as shown above and uncheck the Editable availability, except for the comment parameter. You save the template and you are ready to go. 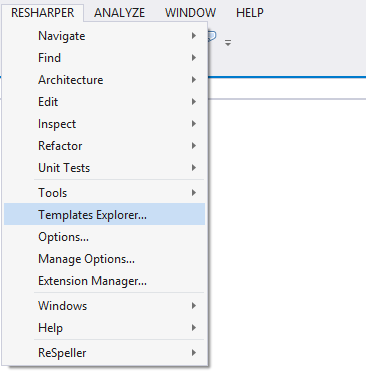 You can setup in the ReSharper Options Menu which items should be shown in To-do Explorer. Next Entry Nokia X and the emerging markets: The Microsoft Windows Phone isn’t good enough?